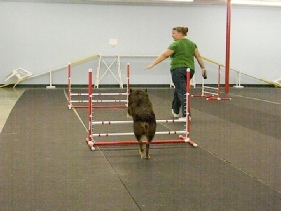 All K9 Kampus training classes are held in the comfort of our indoor facility (with the exception of our tracking class). You will enjoy class in our climate controlled environment without the worry of the heat, humidity, rain, mud or bugs! 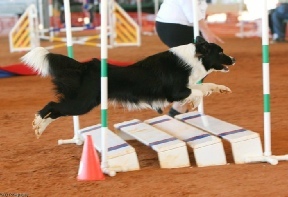 Our Basic Agility classes are held with a maximum of 8 participants to ensure everyone receives a lot of equipment time. 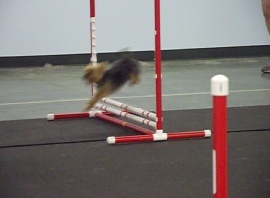 Our Agility classes are 6 weeks long, meeting once a week for 1 hour. 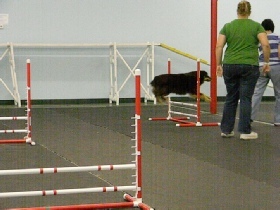 K9 Kampus breaks down basic agility into three separate classes: 1. Jumps & Tunnels, 2. Contacts, 3. Weaves. We offer these classes with overlapping schedules so if you wanted to do more than one class at a time it is available to you. 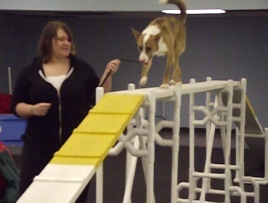 Pre-requisite for Basic Agility is Basic Obedience (preferably K9 Kampus basic Obedience class) Completion of Basic Obedience class at another facility is acceptable but may need instructor approval. 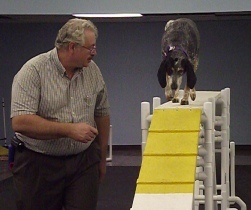 Once you have completed the three basic classes you can continue on with our Intermediate classes. After completing our 3 basic classes and 1 intermediate class you will receive a discount on continuing Intermediate and advanced classes. 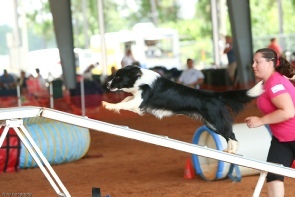 All our classes are taught to AKC standards so whether you are participating in agility for competition or just as a fun activity to do with your dog you will be learning all you need to know. 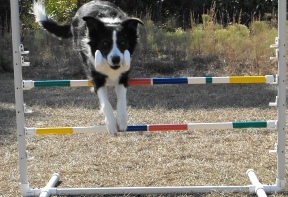 Our advanced classes are for those that want to compete and fine tune their agility skills. 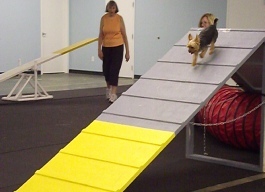 In this class your dog will be introduced to the open and closed tunnels and jumps. 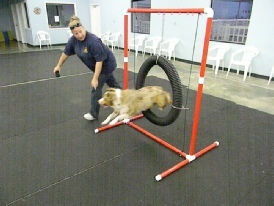 All the contact equipment which includes the A-frame, dog walk, teeter, and pause table will be introduced to the dog. 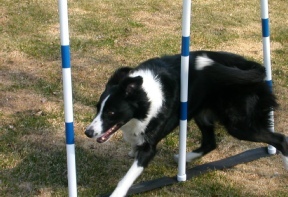 Dogs will be introduced to the weave poles. (It is highly recommended that you have a practice set at home to fully master the weaves. Each class is 6 weeks long and meets for an hour once a week. You can sign up for just one part or all three. Wear closed toe shoes with a non-skid sole. 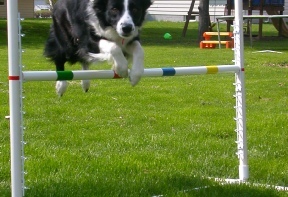 A Basic Obedience class must be completed at K9 Kampus or at a program approved by the instructor and is required in order to register.